College President Dr. Timothy O’Donnell to Deliver Lectures Series in Reston, Va.
Christendom College President Dr. Timothy O’Donnell will deliver a three-part lecture series on January 13, 20, and 27 at 7:30 p.m. at Saint Thomas á Beckett Catholic Church in Reston, Va.
O’Donnell was the first layman to receive both his licentiate and doctoral degrees in Ascetical and Mystical Theology from the Pontifical University of St. Thomas Aquinas (Angelicum) in Rome. 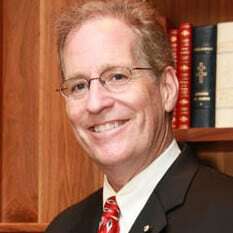 He has taught at St. John’s Seminary in Camarillo, California and at Loyola Marymount University in Los Angeles, California. He is a Knight Grand Cross in the Knights of the Holy Sepulchre and he is a Consultor to the Pontifical Council for the Family. Additionally, he is the author of Heart of the Redeemer and Swords Around the Cross: The Nine Years War. He has filmed many programs for the Eternal Word Television Network (EWTN) including Glory of the Papacy and Luke: Meek Scribe of Christ. Saint Thomas á Beckett Catholic Church is located at 1421 Wiehle Ave., Reston, VA 20190. Admission is free and no reservation is required. For more information visit InstituteofCatholicCulture.org. Download the flyer here. 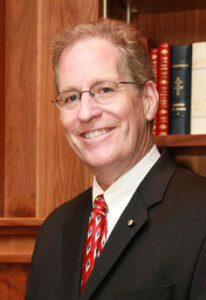 Comments Off on College President Dr. Timothy O’Donnell to Deliver Lectures Series in Reston, Va.